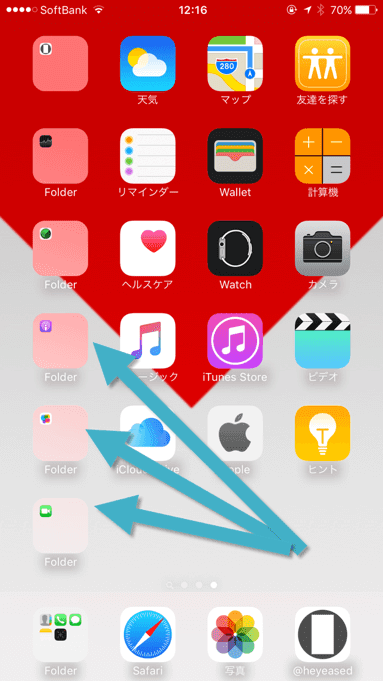 Why the iOS folders are rounded on 3×3px wallpaper? This post is in English. Usually in Japanese. Of course I don't know. But I have a key to the mystery. Take some time. It's necessary to order. 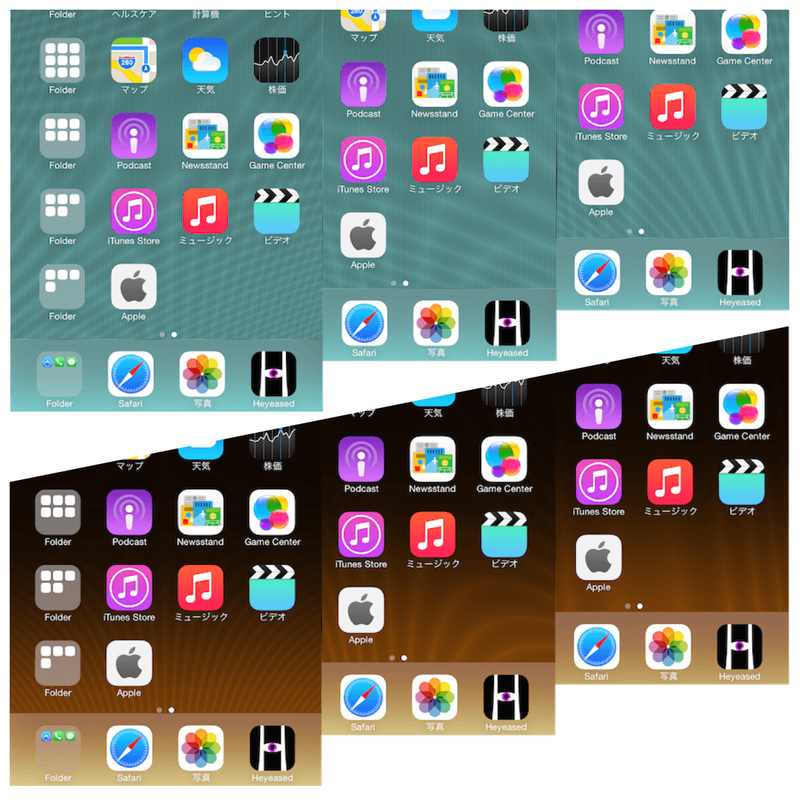 iOS Dock and folders are picking up neighbor colors. 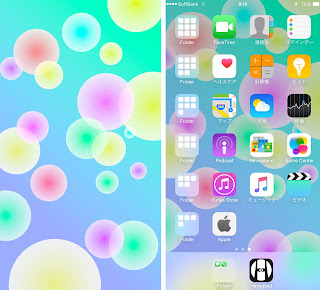 iOS 8.0 or later, If we set the image smaller than standard. Colors are picked up more! The smaller, the more strong. 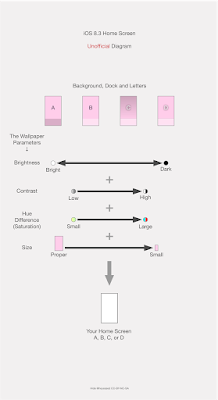 If enough small (45px width wallpaper, etc. 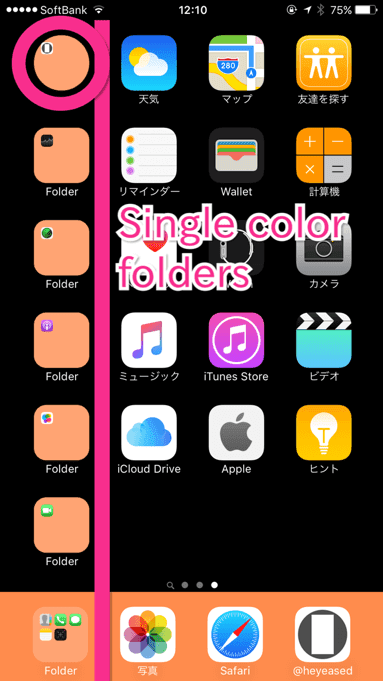 ), Dock and folders are colored perfectly (For some reason, the margin is more influence.). 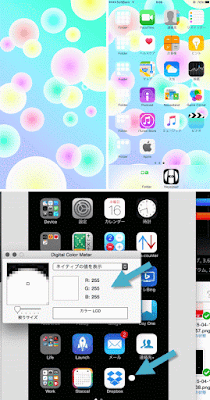 If the stain is halved (90px width, etc.) 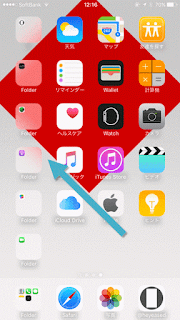 or colorless (1px width), folders are not rounded. Even 3×3, Reduce Transparency switched On, folders are repaired. With Reduce Transparency, Dock and folders don't pick up any color. 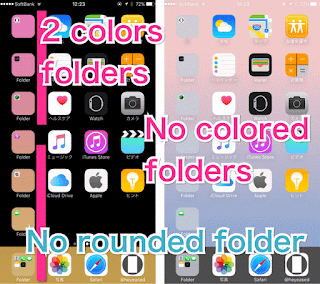 Why Round Folders is not darkened on iOS (8.3-9.3) Home Screen? 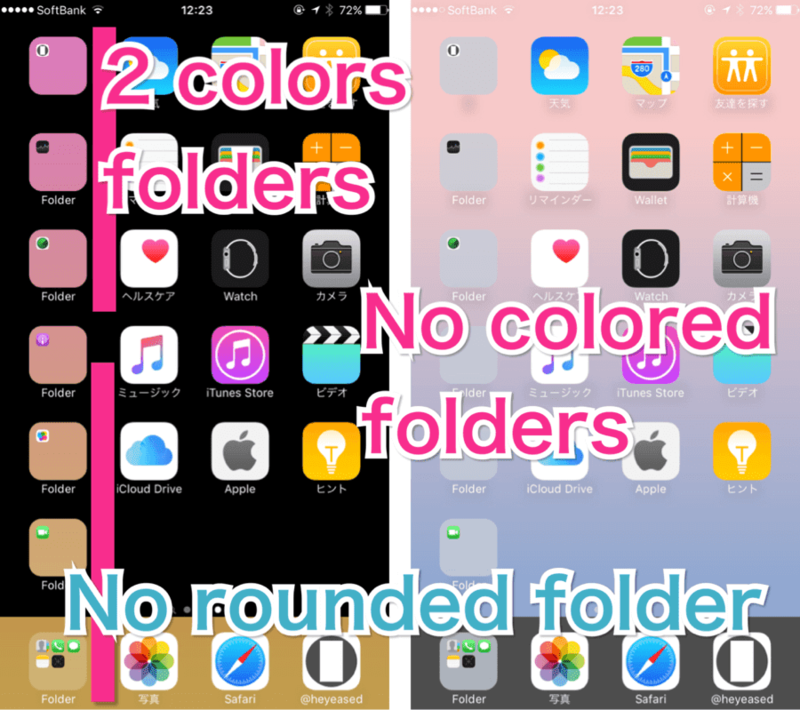 Round Folders is not darkened using any colors. 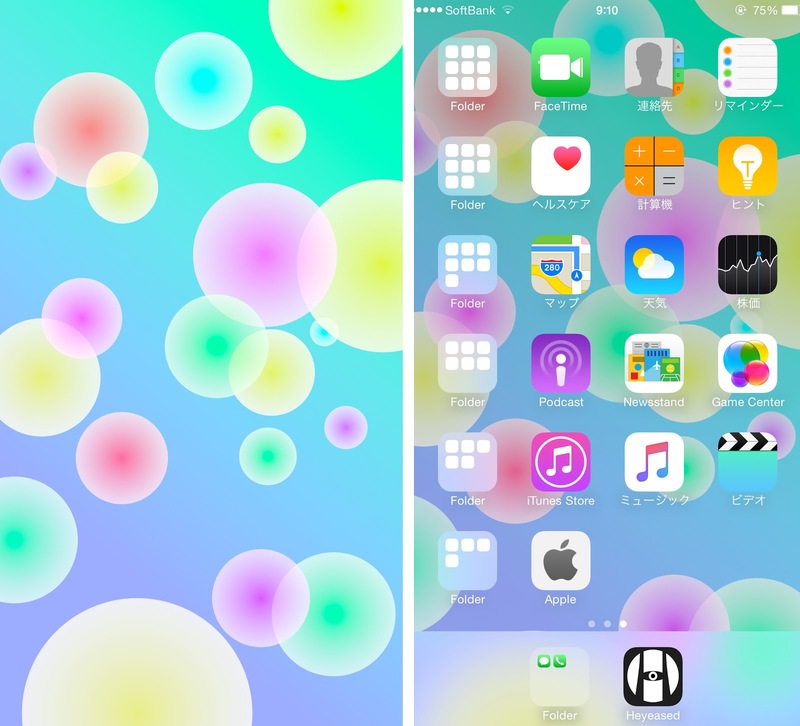 Usually, vivid wallpapers are darkened on iOS. Why? For letters visibility? 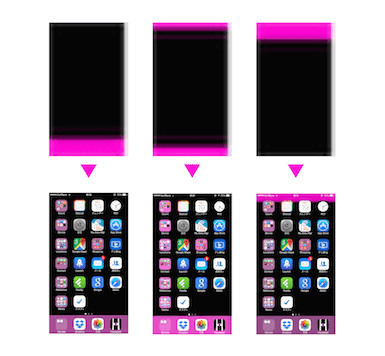 Home Screen doesn't turn dark on bright enough or sufficiently dark wallpaper. iOS 8.3 or later it is related with the size of the color and brightness determination. The smaller, the darker. For more information Look at the figure below. That is the reason for 3×3 is sufficiently small! Full white with a controlled brightness by the size. 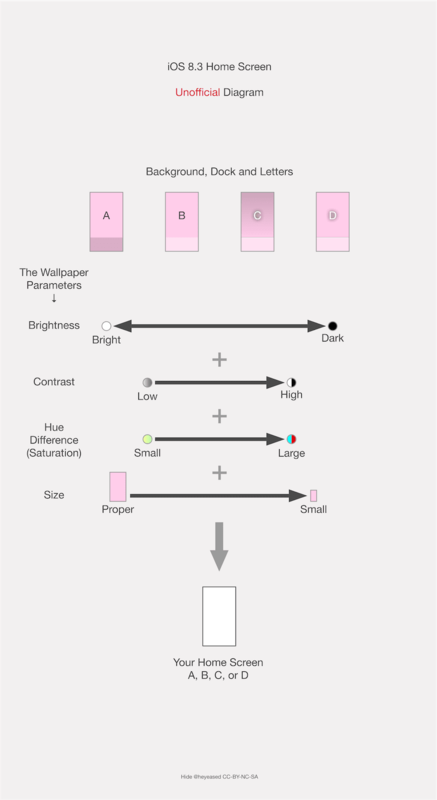 Never darkened PANTONE® color wallpapers. 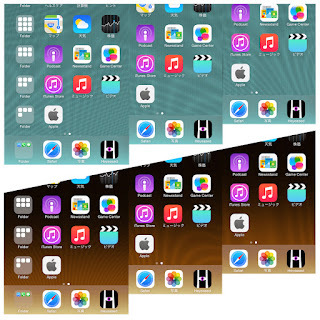 So, moving still images without 3D Touch. Micro pattern raises the moire on perspective. The pale colors, brightness limit for keeping the tone. 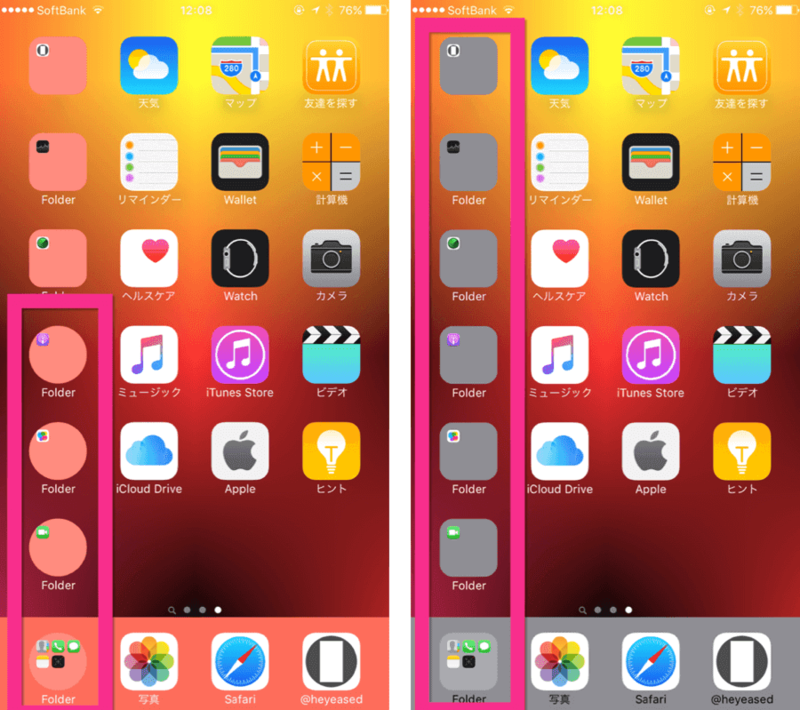 It's makes invisible Dock and folders. I'm afraid my expressions are hard to read. I'm not so good at English. I combine translator app, English checker app, search and my feeling. Please be patient!